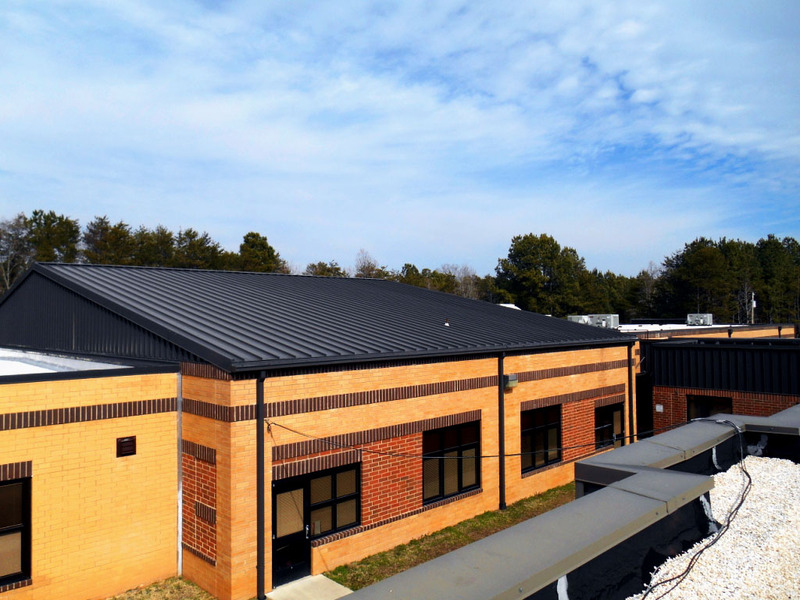 The School District of Pickens County retained Raymond Engineering to develop the plans and specifications for re-roofing of approximately 77,000 square feet at Crosswell Elementary School. 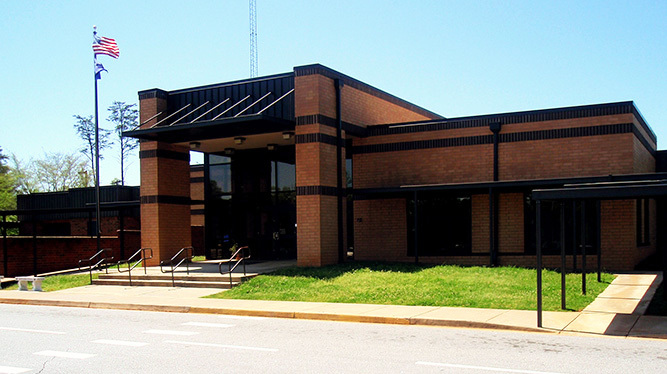 A survey had been completed of the facility two years prior by Raymond Engineering. 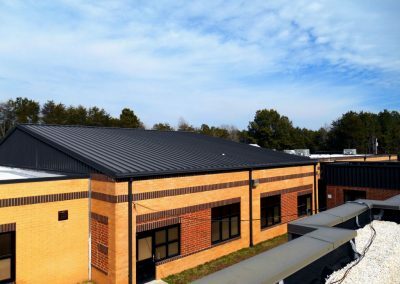 The project consisted of designing a new built-up roof system including sheet metal flashings and new metal wall panels. The survey that was previously completed revealed that five of the roof areas had not yet reached the end of their useful economic life, so small repairs were specified to ensure these areas continued to perform. 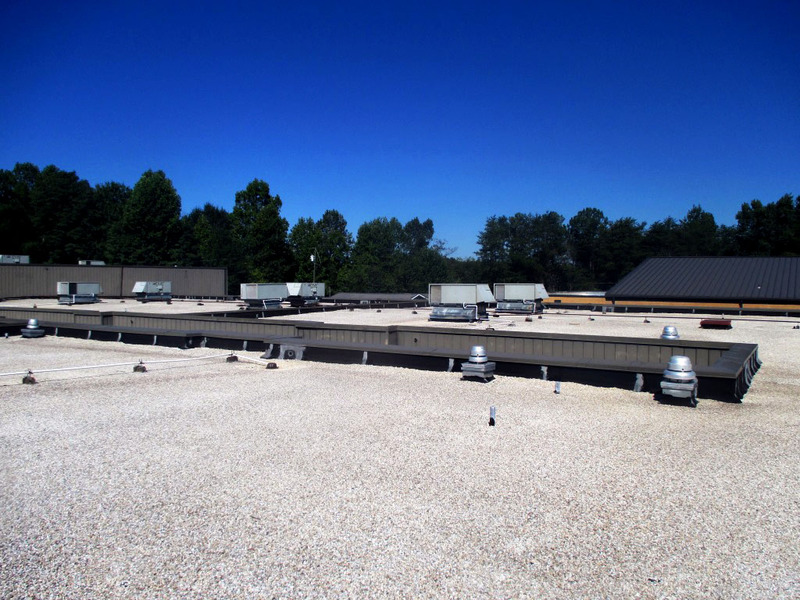 Along with re-roofing, the district is also replacing the HVAC units. This required Raymond Engineering to ensure specific details would coincide with the new HVAC system. Raymond Engineering conducted the pre bid meeting, and answered all inquiries through an addendum. 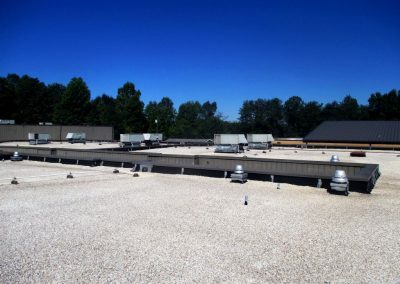 During the construction phase, Raymond Engineering provided Construction Management and Quality Assurance services. Meetings were held once a week on site with the Owner and Contractor to ensure the schedule was being met, and to resolve any previously unknown conditions. 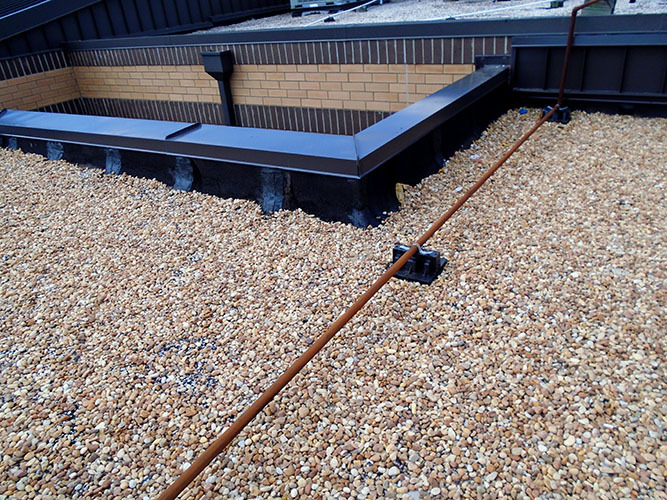 A Registered Roof Observer was on site once a week during construction to document the quality of the work being performed. Throughout the project, the observer maintained a Deviation Log, which documented any unresolved issues identified during construction. 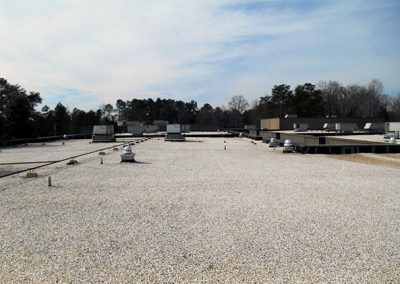 The insulation R-value was increased relative to the original roof, which has improved the building’s energy efficiency and provides a cost savings to the Owner.